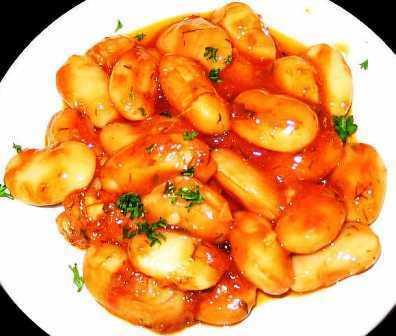 A traditional Greek appetiser of tender giant butter beans cooked in a very flavoursome tomato and herb based sauce. Storage: Can be stored a year in a cupboard. Once opened keep refrigerated and consume within 1 week. Dietary Information: Suitable for vegetarians and vegans. Gluten free. Dairy free. Lactose free. Nut free. Egg free. Wheat and derivative free. White Beans, Tomatoes, Water, Vegetable Oil, Onions, Salt, Seasoning. Antioxidant (Potassium Metabisulphite). 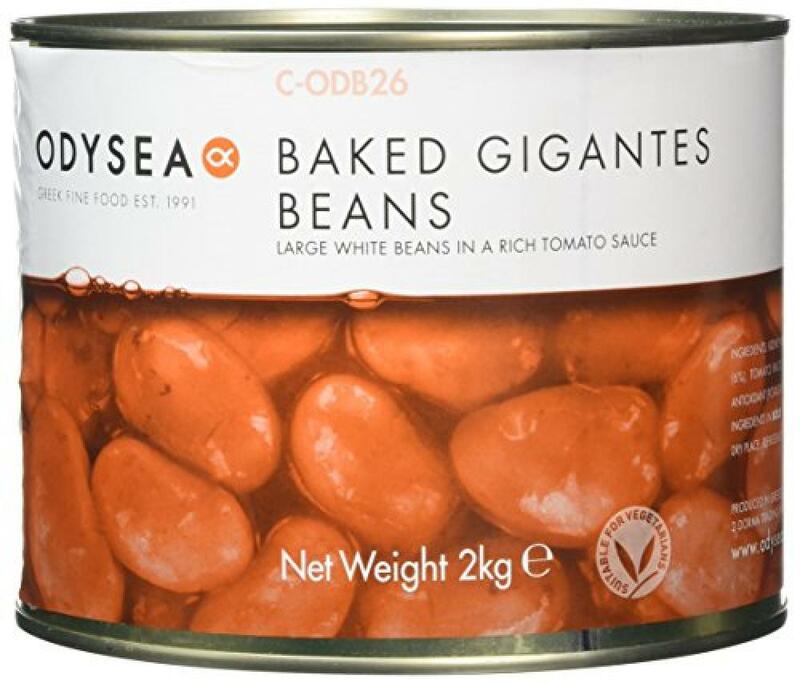 Perfect to serve either warm or cold as a Greek starter and you can include these as part of mixed Greek platters. Another interesting way to enjoy these is stirred into a dish of penne pasta to recreate pasta con fagioli.